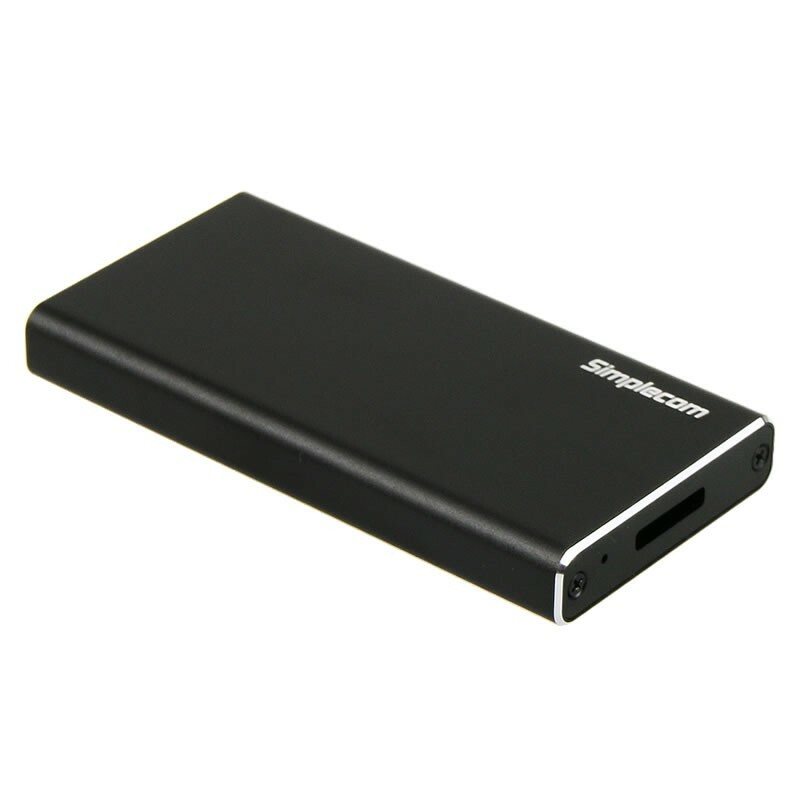 Simplecom SE100 enclosure to turn any 50mm mSATA (II or III/6G) SSD into an external USB 3.0 portable storage device. 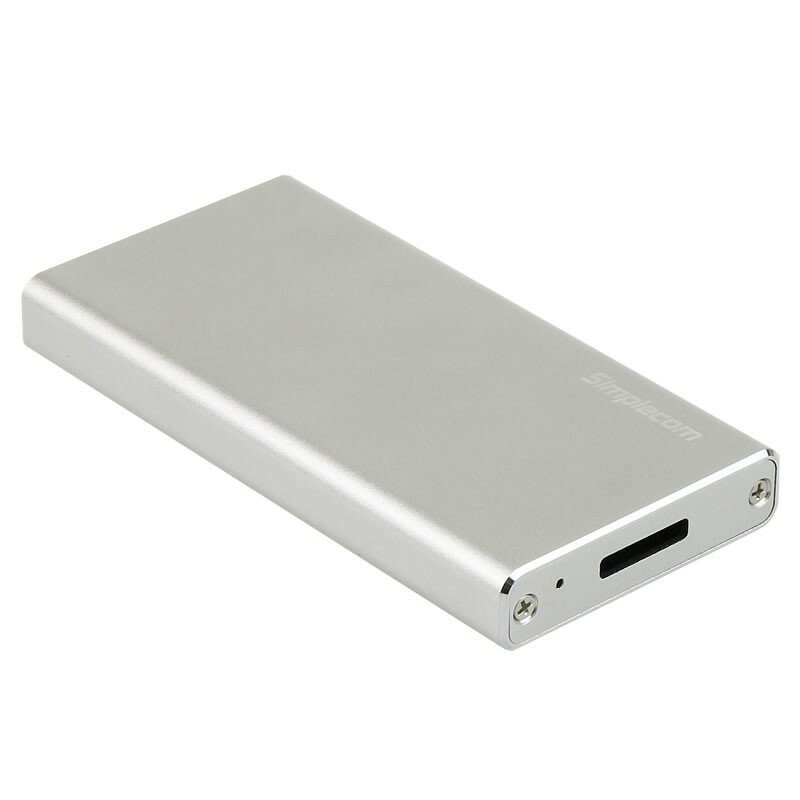 Small enough for to fit in your pocket, this full aluminium enclosure adapter is great for your valuable mSATA SSD while delivering exceptional transfer speeds. It is compatible with standard 50mm mSATA SSDs and is capable of speeds in excess of 400 MB/sec when coupled with an mSATA solid state drive. Optimum speeds will be had when plugged into a USB 3.0 port. 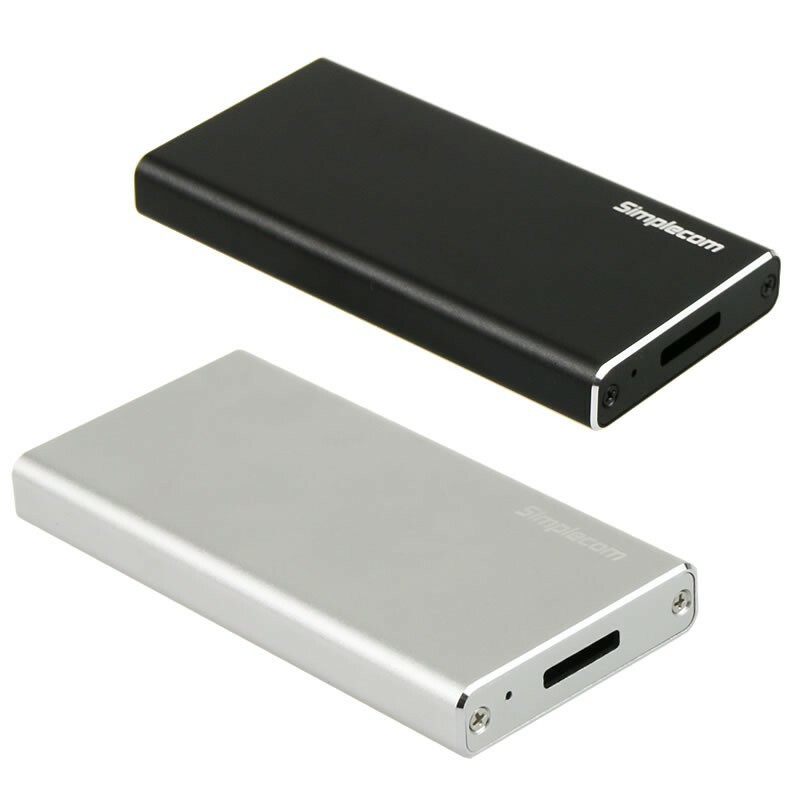 This device it is also backwards compatible, meaning it can be used in USB 2.0 ports at USB 2.0 transfer rates.